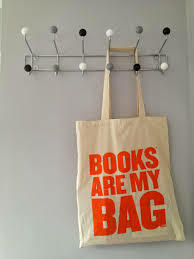 I won’t waffle on about my relationship with books and libraries but will just say that I absolutely agree with every opinion expressed and largely echo your reading experience. 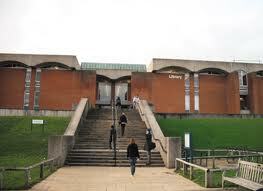 We all need libraries, ad now more than ever when they’re under threat from false economising. False economy in shutting them, and false thinking all round, that libraries can be run by volunteers and with no budget. We always knew that the Big Society notion, while clothed in many innocuous-sounding and apparently sensible terms, was just a cloak for not only providing essential services on the cheap but often at real cost to the volunteers themselves. In any case, it’s falsely based on a US model where political ideologies with commercial clout and antipathy towards state-run services have much more power. I couldn’t agree more. Furthermore, libraries have librarians who know and understand books and readers. A good library and a good librarian are two of our richest and most inspiring resources. Hear hear to the value of librarians. I don’t know whether I was just unaware of their true role as a youngster, or whether they have improved over the years! And I’ve never heard a librarian shush anyone, as the rotten old stereotype goes. Yes I love libraries too! Although yours sounds rather more inviting than ours in Lincolnshire where savage cuts have decimated the service. As a teenager I couldn’t wait to get access to the adult library and I remember some wonderful accidental discoveries of authors and genres (not always ‘suitable’) and they were my discoveries, not recommended by anyone: the ghost stories of M.R. James for example or, like you some great science fiction. I have two teenage daughters: one an avid reader, the other will open a book only under duress (a powerful argument to me that parental influence is over-rated in this respect). The one who reads is a fan of YA fiction and whilst it is great that she has the choice of books which are relevant and accessible to her, I think sometimes she misses out on exploring more widely and stepping out of her comfort zone a bit. Having said that I have enjoyed some YA over the past couple of years and I am really happy that she loves reading and is willing to talk books with me over a cup of tea! Yes, parental influence is definitely overrated – as a keen reader/writer I think I had none over my kids. You’ve also reminded me that I loved ghost stories, or just tales of the uncanny, at that age, Edgar Allan Poe etc. As for reading comfort zones, I think everyone should try and get out of theirs. At times we just need to comfort-read, but if we do that all the time it can become brain-porridge. (Now it sounds like I have something against porridge!) Surely YA library shelves offer more than just recent titles clearly written for that market? That’s what I meant when I wrote ‘…not-so-recent books that are now categorised as YA’. In fact, I picked up one YA/MG title, R J Palacio’s ‘Wonder’, on the new books stand in the adult library, but it was also in YA.